Raymond Weil was one of the first people to create affordable luxury watches. The elegant timepieces are handmade in Geneva, the capital of Swiss watchmaking. The watches are known for their impeccable quality and are designed with high precision. They are known to satisfy the appetite of many, and adorn the wrists of influential people around the world. However the creation of sought after, charming pieces often come with a price – and we’re not talking $$$. The counterfeit market is filled with Raymond Weil watches, so here at The Luxury Closet, we want to share our top tips on how to spot a fake. A unique serial number is engraved at the back of every watch. If you’re buying a pre-owned watch, you can register the serial number on the Swiss brand’s website to see if it’s fake. Another top tip to look out for it that Raymond Weil serial numbers are laser engraved, not stamped! If you’re really unsure, you can always contact the company and have it cross checked. All the ‘bling’ you’ll see on a Raymond Weil watch will be diamond – the brand swears by using only diamonds as decoration. If you’ve found a watch that’s using some kind of crystal or semi-precious stone, chances are it’s a fake! Despite setting up his brand during the height of the quartz crisis in the 1970s, while the majority of world’s watch production shifted to Asian companies that embraced the new technology, Raymond Weil refused to adapt to such new comings and still to this day uses stock or lightly modified ETA movements. 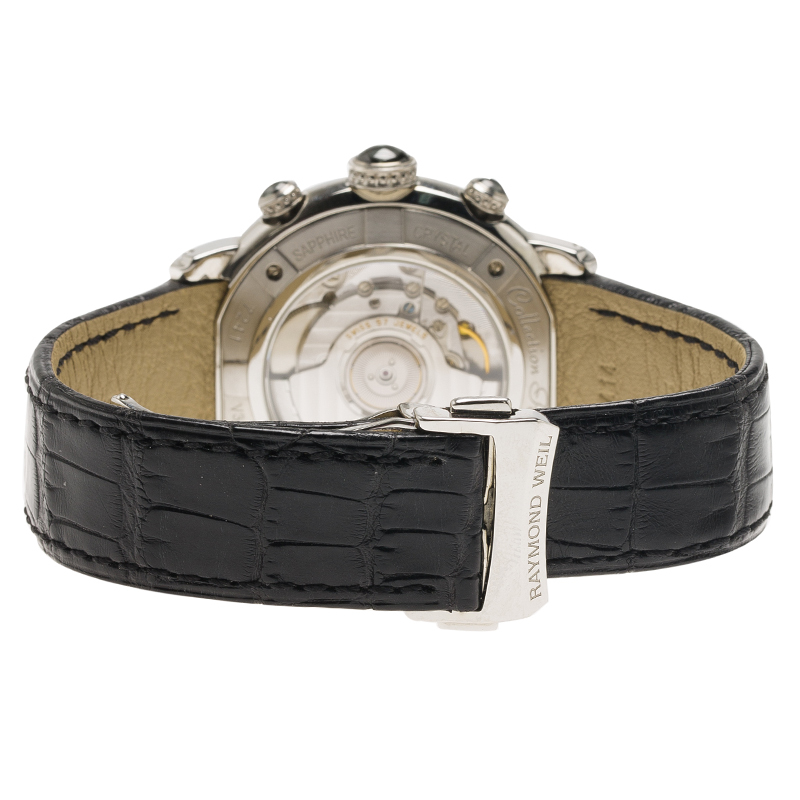 A Raymond Weil watch strap is made of genuine leather and will have usually have a stamp on the buckle, as long as it doesn’t have double sided clasps. Most counterfeit watches are also very light in weight, due to the fact they won’t have the brand’s real mechanisms.